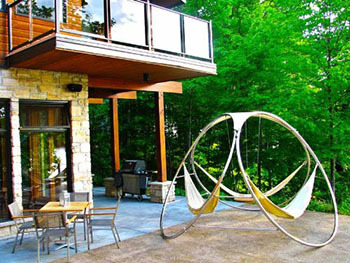 The “Infinity Hammock” is a steel frame with 3 hammocks hanging off it. I’m not sure what’s “infinity” about it. Contemplate it while you lay in one of the three connected hammocks, I suppose.